Crosby Table Umbrella StandCrosby Table Umbrella Stand, alt="Crosby Table Umbrella Stand, "
Print Designed to be used with our Crosby Teak dining tables, this weighted base keeps your umbrella steady, even in shifting seaside breezes. A slim silhouette keeps things simple, and it’s made of powdercoated steel to keep the rust at bay. Perfectly sized to accommodate both the Eastport and Pembroke Umbrellas (sold separately). Powdercoated steel with matte white finish. Concrete fill to keep your umbrella secure. 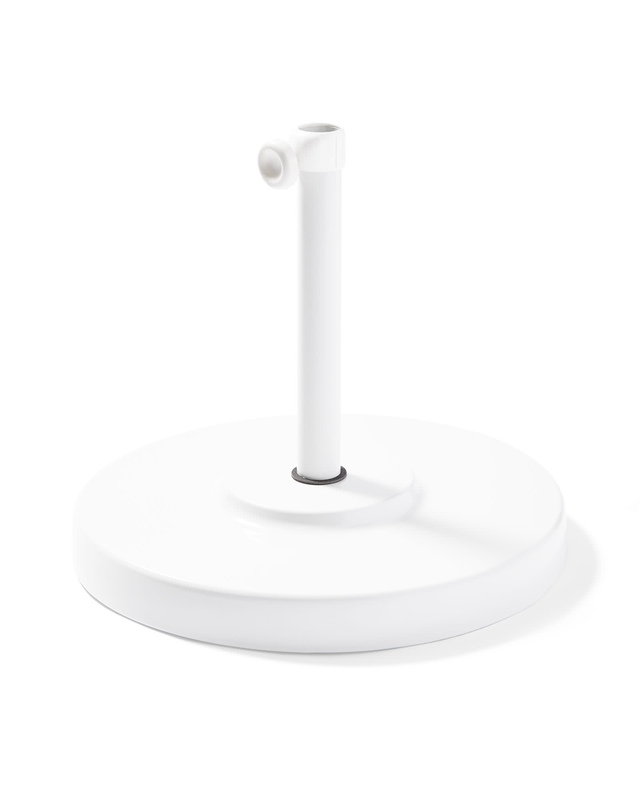 Base accommodates a 1.5”DIAM pole.